We are proud to be part of celebrating Children’s Week, where the little ones get to enjoy great activities. 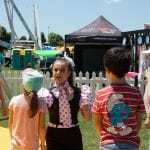 Children’s Week sees thousands of children and their families from around the country involved in activities and events staged at numerous locations including schools, childcare centres, parks, playgroups, libraries and cultural and community groups, and now the Goodna Jacaranda Festival as well. As an official partner of Children’s Week in 2018, the Goodna Jacaranda Festival will help celebrate Children’s week by providing a fantastic and free community event which places a big emphasis on our young ones. This year’s festival will have an amazing selection of events and activities for kids, courtesy of our incredible sponsors and partners. There will be circus shows, dance workshops, petting farms, and much more. There will be lots of fun, loads of squeals, heaps of giggling and plenty of yummy food to eat – and you’re invited! While children in Australia live relatively happy and stable lives, there are kids at home and abroad who don’t enjoy the same capacity to enjoy childhood and express their individual talents and creativity. 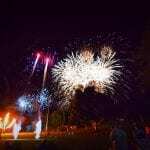 “Children’s week is a good time for parents, grand parents, aunts and uncles to talk to our children about the lives of children here and across the globe where safety and freedom are not automatic” Goodna Jacaranda Festival president Mathew Taylor said. Children’s Week celebrates the right of children to enjoy childhood. Universal Children’s Day, the fourth Wednesday of October – the 24th this year – calls society to a greater response to the plight of many millions of children around the world who are denied the basic necessities of a happy childhood and the education to develop their capacities. It also calls us in Australia to consider those conditions in society which affect the lives and future of our own children. National Children’s Week runs from Friday October 19 to Sunday October 28. For more information about this great cause, please visit their website (http://www.childrensweek.org.au/).